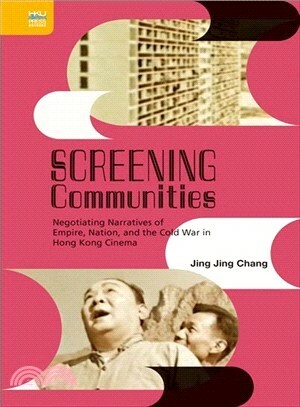 Focusing on the genres of official documentary film, leftist family melodrama (lunlipian), and youth film, this study examines the triangulated relationship of colonial interventions in Hong Kong film culture, the rise of left-leaning Cantonese directors as new cultural elites, and the positioning of audiences as contributors to the colony’s journey toward industrial modernity. Filmmakers are shown having to constantly negotiate changing sociopolitical conditions: the Hong Kong government presenting itself as a collaborative ruling body, moral and didactic messages being adapted for commercial releases, and women becoming recognized as a driving force behind Hong Kong’s postwar industrial success. In putting forward a historical narrative that privileges the poetics and politics of shaping a local community through a continuous screening process, Screening Communities offers a new interpretation of the development of Hong Kong cinema―one that breaks away from the usual accounts of the “rise and fall” of the industry.